Adonis Saltes is passionate about his Lakota heritage. 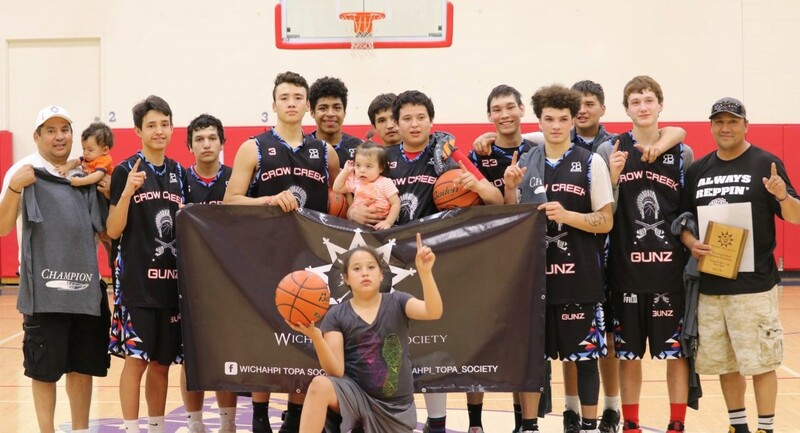 He is determined to be a voice that makes an impact in the lives of Native youth as he instills the importance of education and honoring their culture. Here he shares about his organization, the Wichahpi Topa Society, and his goals to reach the Native youth of this generation. It starts from within our own people. The competition was great! We had some of the top trainers and very respected people in the basketball and work world who had a chance to watch our youth, which is something we took a lot of pride in. This was an open tournament that allowed the youth to meet new people and socialize, and it was an amazing environment. We plan to make it one of the biggest prep basketball tournaments in the country during the month of May every year in Rapid City, South Dakota. During the weekend, it wasn't all about basketball; at the end of the tournament, we gave out a scholarship to help an individual with assistance in getting an education. We understand how expensive college can be: tuition, books, food, experiences. So we wanted to give back in that way and help make life easier for Native youth to get their education and make us proud. Things have started to pick up with Wichahpi Topa Society. We have been traveling to schools and doing motivational talks about the Lakota values and the blueprints for living a healthy and successful lifestyle. We really believe our speeches have been impacting the lives of our youth; it just takes the right person to motivate them and inspire them to be successful. That's the great thing I believe we do; our staff has achieved what a lot of these kids aspire to do, so I feel as if we connect with them on another level. In other news, we recently signed David "Bulldawg” Michaud to become Wichahpi Topa Society’s Brand Ambassador. A former valedictorian of Pine Ridge High School, David is from the Pine Ridge Indian Reservation and is a professional fighter with experience in the UFC. In addition to David, we are trying to put other first-class role models in front of our youth to inspire them to reach their full potential. Earlier in the year, we created a video for Kevin Jack highlighting his attainment of a 34/36 score on his ACT test. Proving that hard work can take you far, Kevin now has the option of attending Princeton University on a full-ride scholarship. Our Gates Scholars are also prime examples of accomplishments that all of our youth can achieve. We are also excited to have been working with Billy and Pat Mills. Billy, a gold medal winner in the 1964 Olympics, came from the Pine Ridge Indian Reservation. Clearly, we have so many people from our own area who are perfect role models, and we believe in the power of their stories to motivate our youth to pursue their own dreams. There are so many positive things happening, and I see change occurring right before my eyes. I would like to encourage our Native youth and remind them that it's where they finish their journey that matters. Regardless of where they come from, what their home lives are like, and the hard times they may be experiencing, I want to inspire them to rise above their circumstances and keep their eyes on the finish line. It's time for all of us to look at the positive, cooperate together, and work from within our own people. At Wichahpi Topa Society, that's what we are trying to do, and we believe it will lead young Native Americans to a brighter future. 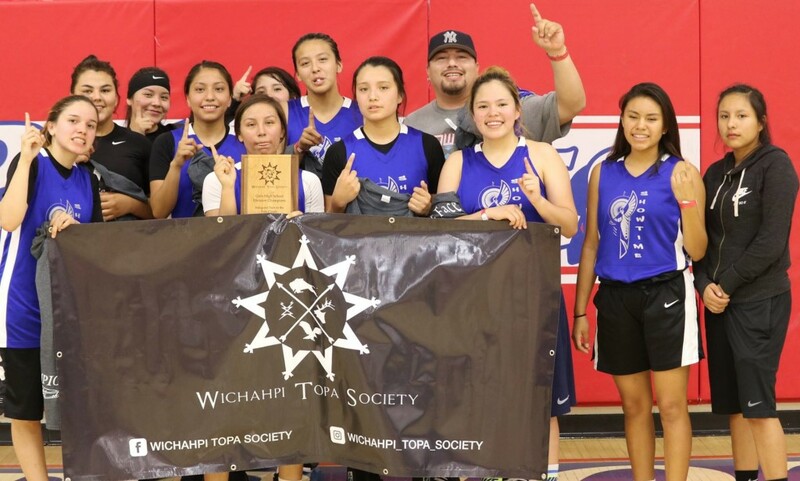 Native Hope firmly believes in joining together to empower the next generation of Native youth to embrace their culture as they pursue their dreams. Adonis has begun the Wichahpi Topa Society, whose mission statement is: to teach the Lakota way of life, to preserve the Lakota language, and help all seek spirituality and values through song and guidance. Learn more at WichahpiTopa.org.